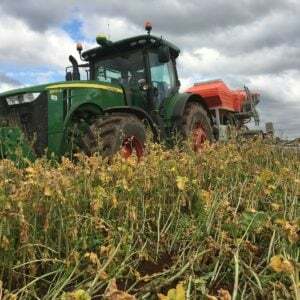 It’s a nightmare scenario: an herbicide used to kill weeds is discovered in vaccines, threatening to turn disease-preventing and often life-saving inoculations hazardous to health and even life. 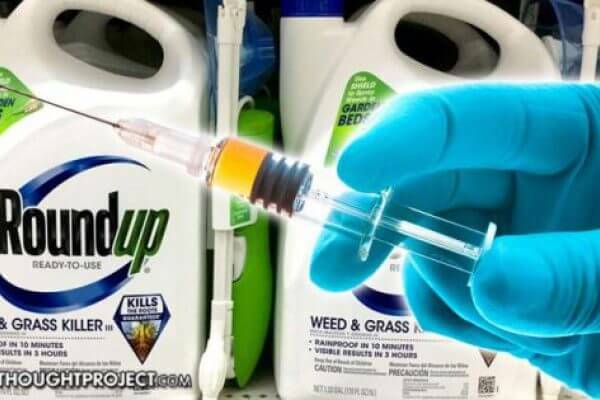 The campaigning anti-chemical group Moms Across America [read Genetic Literacy Project profile here] announced that a study it commissioned found trace amounts of glyphosate—the world’s most-used herbicide, often used with plants genetically modified to resist it—in several vaccines. Not sure what to make of this yet… but it should piss you off. .. Wondering if glyphosate could be contaminating not only our water, urine, breast milk, food, soil, beer and wine, but our vaccines as well.” Moms Across America ran some tests…Glyphosate, a chemical ingredient found in Monsanto’s Roundup and hundreds of other herbicides, has been found in vaccines. It’s all sounds scary. However, it’s not clear that any glyphosate was actually in any of MAAM’s samples..and if glyphosate residues are present in vaccines, which is highly doubtful, t’s almost certain that the residue exposure levels are so minute as to be meaningless. The testing method used here for vaccines appears to be a method that was developed as a quick and inexpensive screening test for water samples to decide whether additional testing with a more expensive and precise method is needed. Simply put, because of this method’s potential for false positives at very low concentrations, a negative result of the test on water means no further testing is required; a positive result means one should conduct the more expensive test to confirm. This quick and inexpensive screening test has only been shown to work well in water – not vaccines, not wine, not beer, not milk, not eggs. Just water. The study used a method called ELISA, which is short for enzyme-linked immunosorbent assay. ELISA is a very fast, somewhat reliable method for determining the concentrations of chemicals, by using a pairing of radioactive labeled antibodies. This test is often used for determining levels of cholesterol in blood, for example. It is not, however, at all accurate at measuring anything in low parts per billion. More accurate methods of measuring volumes in that minute a range would be techniques called gas chromatography/mass spectrometry, or GC/MS, in which chemicals are ionized (having an electron removed, usually), and the now-electrically charged molecule or chemical is measured by its mass and charge. This is a longer (and expensive) procedure, but extremely accurate. Gas chromatography, the “GC” part, is carried out before the “MS” step, and separates your targeted chemical from other chemicals in your sample. At 1-10 ppb it is awfully easy to think you are analyzing a specific compound when in fact you are tracing some other compound so unless I saw the full mass spectra to at least 2 decimal places I would say that glyphosate is not proven, and few labs have that degree of sophistication. ELISA is notoriously susceptible to interference by the presence of other compounds, both in the positive and negative direction, and while fine for a first approximation, it is not acceptable for a definitive measurement. No top ranked journal in the field accepts ELISA as definitive proof for small molecules unless accompanied by further proof. The gold standard is multiple ion mass spectrometry after HPLC and or GC, or as MS-MS.
ELISA testing methods for pesticides can produce false positive and false negative results and thus cannot be used by regulators – ELISA methods can give inaccurate results. These methods are usually used as a screening tool and any positive results have to be confirmed by a chromatographic method to be usable in risk assessment. The company MAAM contracted for its study only used the ELISA method. These claims by Seneff and Samsel echo previously debunked MAAM campaigns. Friends of the Earth Europe and Mom’s Across America claimed in 2014 that an informal test they had funded found minute traces of glyphosate in breast milk and urine, causing a furor, with the story widely circulated across anti-GMO and quack websites, and even in such nominally mainstream blogs as Civil Eats. The results were challenged in a study by Washington State University scientist and lactation expert, Michelle McGuire, who found no evidence that glyphosate accumulates in breast milk. Activists criticized the study’s authors, which included three Monsanto employees, although the data was independently scrutinized. 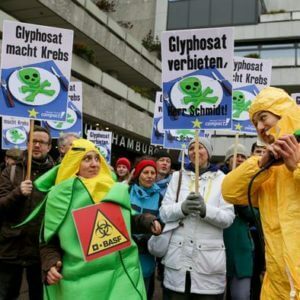 Two subsequent German studies, including an independent report in 2016 by scientists affiliated with the independent German Federal Institute for Risk Assessment (BfR)–which does risk assessments for the European Commission–found no traces of glyphosate. 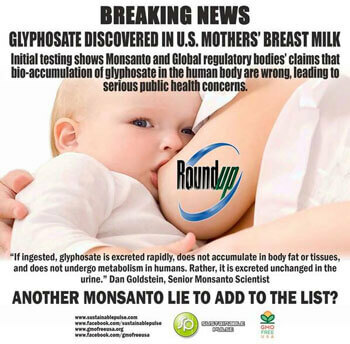 The studies used mass spectrometry to discover that none of the research subjects had glyphosate in their breast milk samples up to the technical limit of MS (which is much more sensitive than the methods Samsel and MAAM reported). 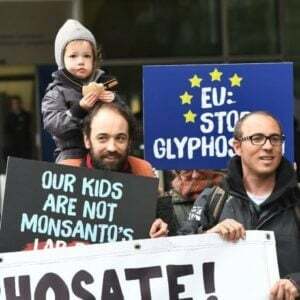 As for glyphosate, the world’s most-used pesticide has become a symbol for opposition to genetic engineering in food, and has been alleged of causing a number of harms, including cancer. However, a number of national and international health and environment agencies—WHO, the EFSA, the US EPA, US EPA, and Germany’s federal risk assessment institute—have found no harm from the chemical. 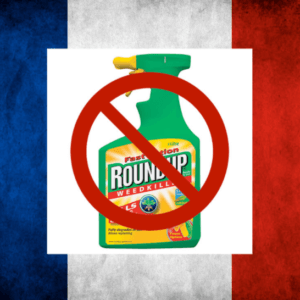 Only the cancer research arm of WHO—International Agency for Research on Cancer (IARC)—claimed that glyphosate poses a “probable” hazard (which isn’t the same as an exposure risk). It’s not clear that what MAAM’s contract organization found is even glyphosate—the Microbe Inotech study even indicates that the amount in milk was the only validated method. Everything that regulatory agencies and credible scientists know about glyphosate tells us this outcome is extremely unlikely. Unfortunately, such sensational allegations only serve to spark unwarranted fear and confusion and make finding reliable information much more difficult.